Materials needed: The 7 pattern pages printed (in color) onto card stock. 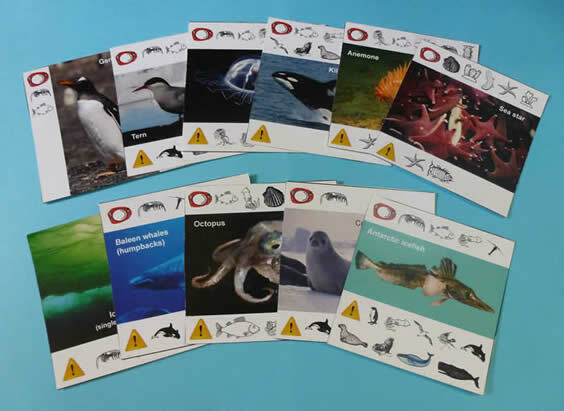 (If you are working with a class or small group, you will need one set of cards for every 4 players. If if you have 6 students in your group, I recommend 2 sets of cards. In a pinch, you might, just might be able to get away with one set of cards for 5 or 6 players, but the playing time will be higher quality if you have only 2-4 players per set of cards.) You will also need a coin for one of the games.